The SimpleLink™ Wi-Fi® CC3200 LaunchPad™ development kit (with QFN-packaged device) is an evaluation development platform for the CC3200 wireless microcontroller (MCU), the industry’s first single-chip programmable MCU with built-in Wi-Fi connectivity. The board features on-board emulation using FTDI and includes sensors for a full out-of-the-box experience. This board can be directly connected to a PC for use with development tools such as Code Composer Studio™ Cloud integrated development environment (IDE) and IAR Embedded Workbench. 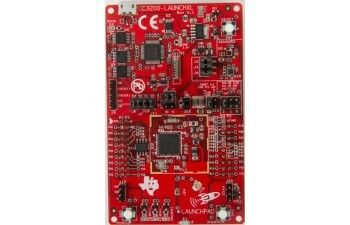 Visit dev.ti.com and get started with your SimpleLink Wi-Fi CC3200 LaunchPad kit today. This LaunchPad has driver support and a software development kit (SDK) with 40+ applications for Wi-Fi protocols, Internet applications and MCU peripheral examples. Download the latest SDK and firmware here. CC3200 is supported in v7.20 of IAR. There is a free (limited time license) evaluation version available here. For additional information about CC3200, visit http://www.ti.com/simplelinkwifi.